TreeHouse Club opened its doors two weeks ago, becoming the newest marijuana dispensary in Spokane Valley. Manager Steve Burks says the family-owned and -operated business offers competitive prices and high quality, locally grown marijuana. "We want to see this national movement succeed," he says. "The whole thing could have the brakes put on if it's not run by the right kind of people... I wanted to get my fingers in the industry." 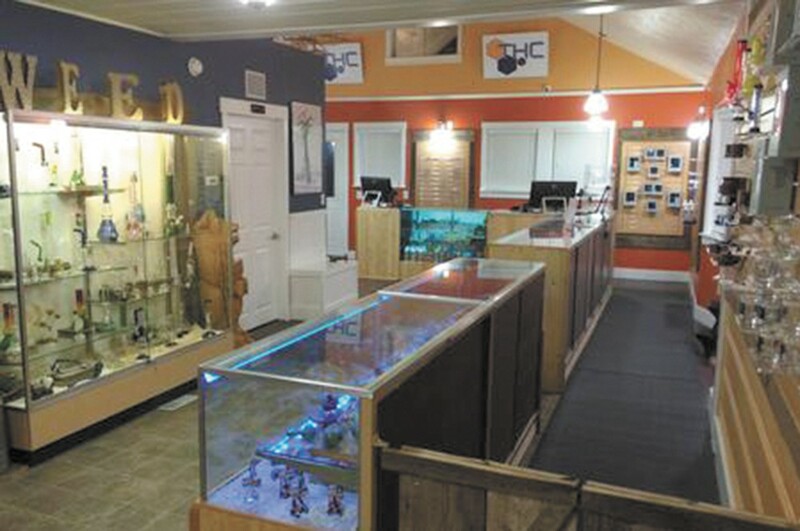 The TreeHouse Club, operated out of an old Craftsman home, looks more like a boutique than a dispensary. Sparkly block letters spell "Weed" above glass display cases lined with water pipes and bongs, and tree branches — a nod to the store's name — artfully adorn the walls. "The layout and vibe of our store really puts people at ease," says Burks. "We have water features right when you walk in the door that pretty much relaxes everyone." The recreational dispensary offers 7 grams for $80, and carries of variety of strains, concentrates and edibles from local growers including Farmer J's, Bang's Cannabis Company and the Happy Crowd, and edibles from Henderson Bakery. "The Happy Crowd out in Spangle is infusing their joints with CO oil and doing some really different things, and my top-shelf product is from Bang's Cannabis Company — the marijuana is dense, beautiful and smells great," Burks says. The shop also carries paraphernalia including hemp rolling papers, spoon pipes and SYN bongs, and a request log-book if you don't find what you're looking for.